By Singyin Lee in Mobile. 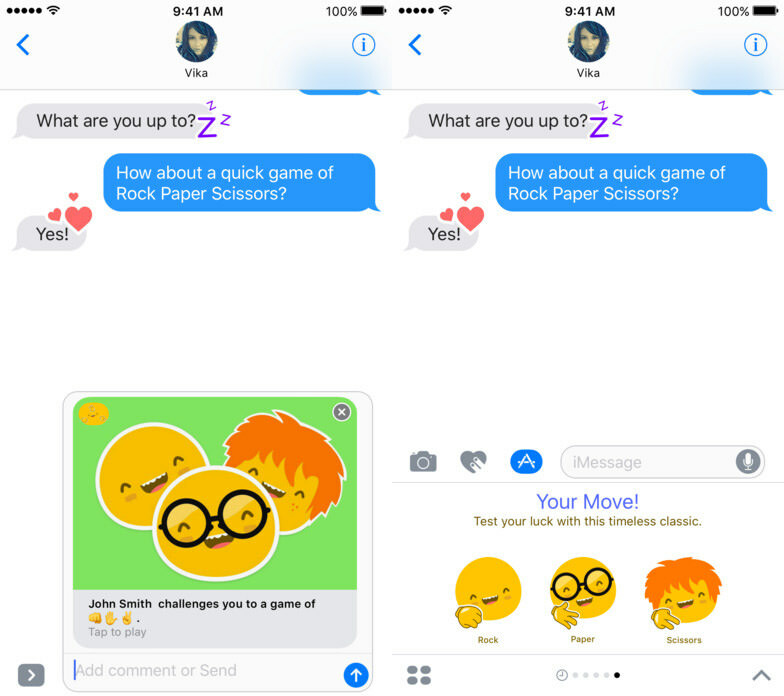 Updated on November 23, 2017 .
iOS users can now do more on Messages than ever before, sprinkle conversations with stickers of their favorite cartoon character, use effects, play games and even plan events or reserve tables at recommended places to eat. 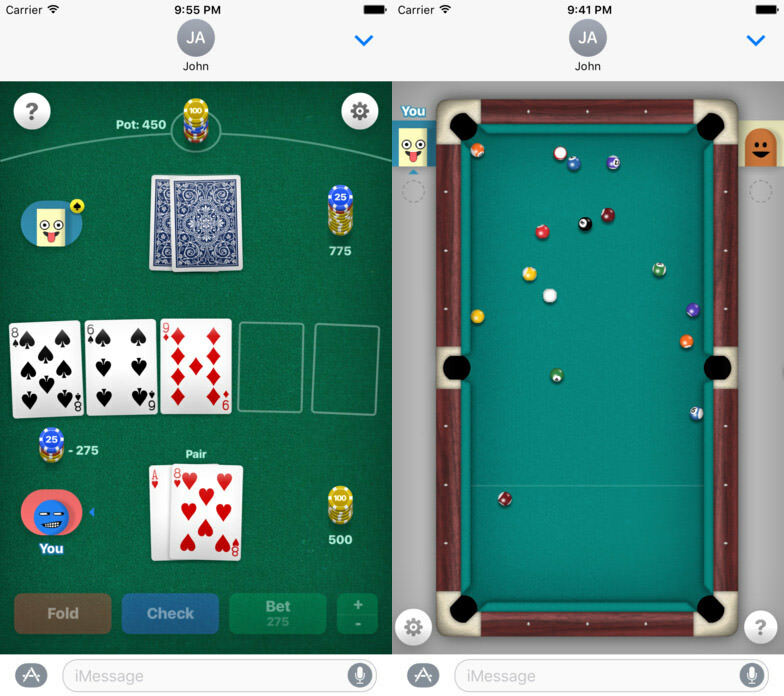 Here are some of the apps and games you can use and play in Messages with your fellow iOS pals. If you know of more, do let us know. Manage trips, events and group outings via Messages with this handy app. Coordinate shopping lists, plan group holidays, organize office parties and keep everyone on the same page. The app keeps tracks of who crosses out which item in a list, and has a reminder of how many items are left to do. 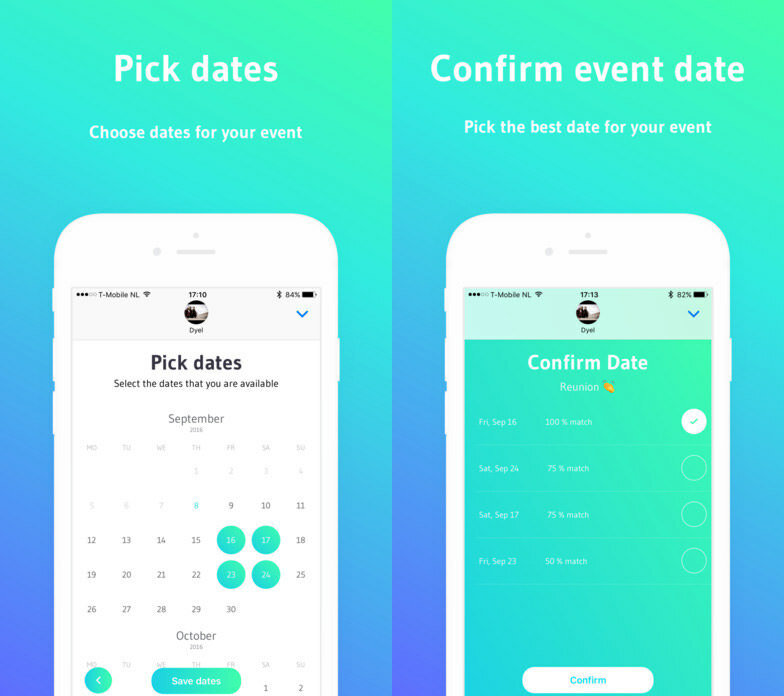 This is an event planning app that is great for weddings, parties and reunions. The event organizer can make announcements or changes to the event and keep everyone informed simultaneously with this handy app. This app also helps with keeping track of all the RSVPs. Planning a get-together is made easy with Voo Plan. Not only does it make intelligent recommendations for places that you will like, it lets you reserve tables at your favorite restaurants, call a Uber and more. 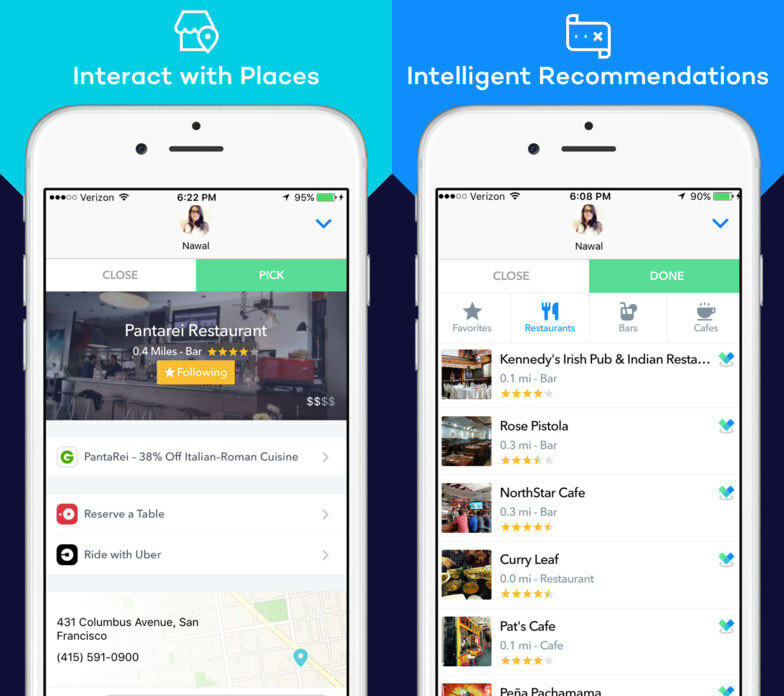 The app integrates data from Groupon, Opentable, Eventbrite etc and carries ratings of restaurants, cafes, bistros and more. Communicate with friends securely with this app. 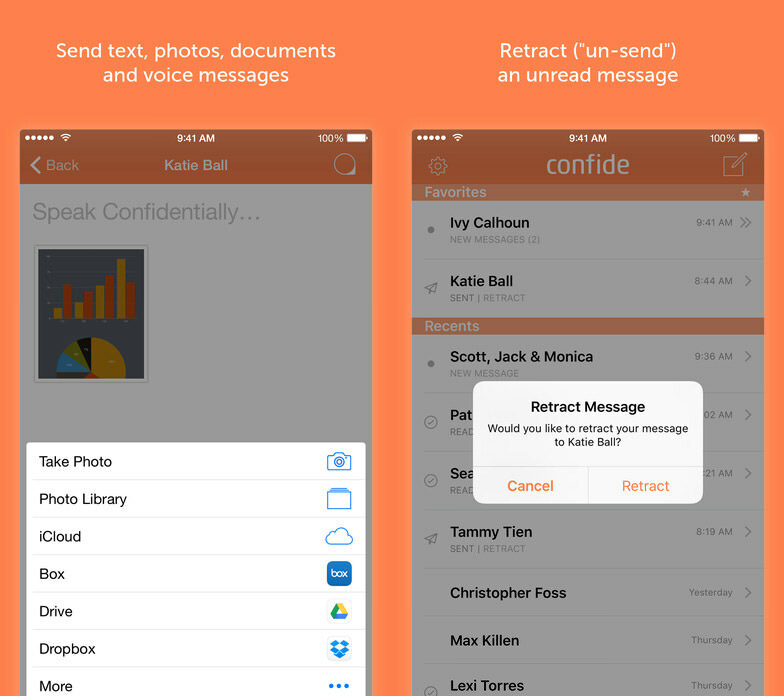 Text & voice messages, photos and documents sent with Confide are encrypted and will "self-destruct" once they are read. The app comes with screenshot protection and lets you create messages with Siri (just talk, skip the typing). The premium version lets you retract unread messages. 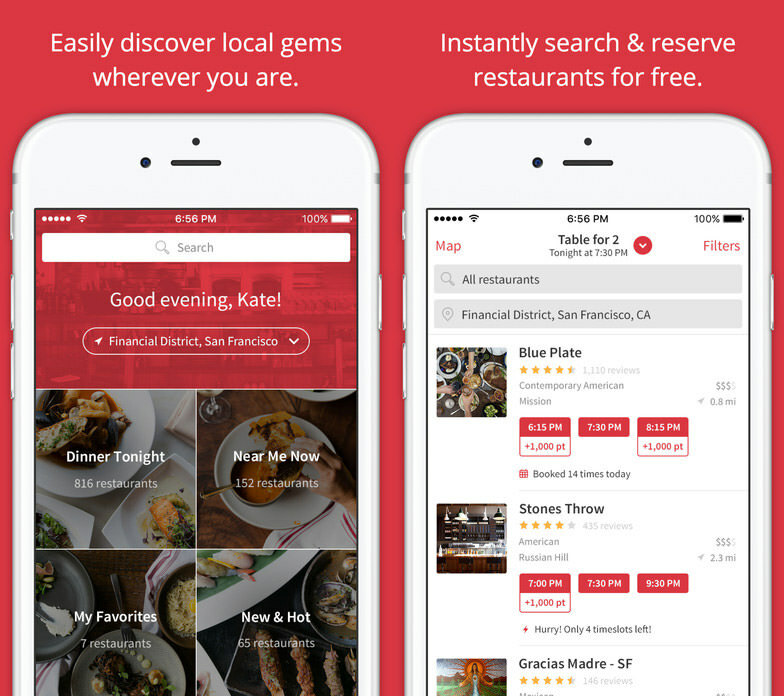 OpenTable for Messages lets you share info on restaurants and even cast votes on which place to visit next with friends. Get recommendations on where to dine, find out how other visitors rated the service and food of a new place, and make quick and easy reservations straight from the app. This day and age, we can say things better with memes, GIFs and stickers. GIF Keyboard helps you do that by letting you browse and search for specific GIFs to use in conversations via Messages. Alternatively, you could create your own GOF using your camera and the features of this app. 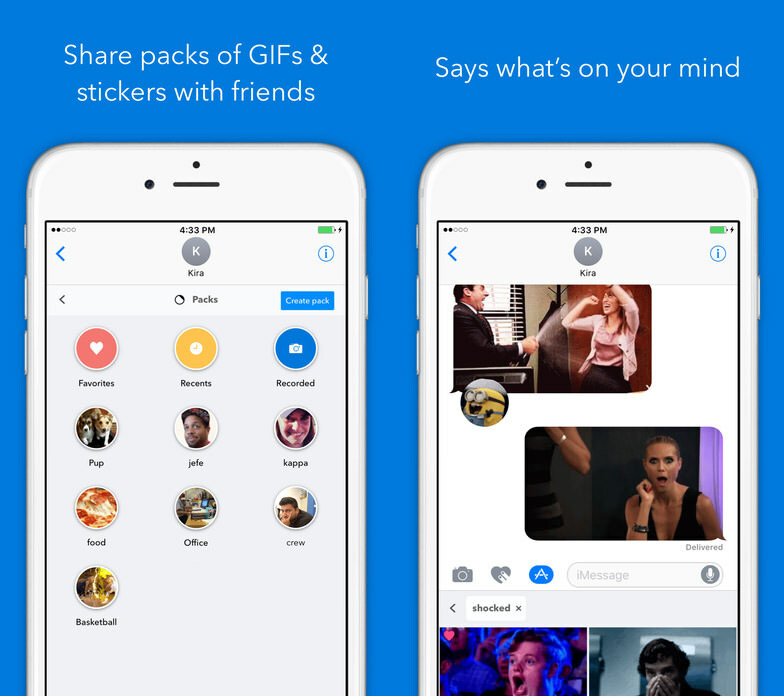 Your created GIFs and stickers can be shared with friends as well. 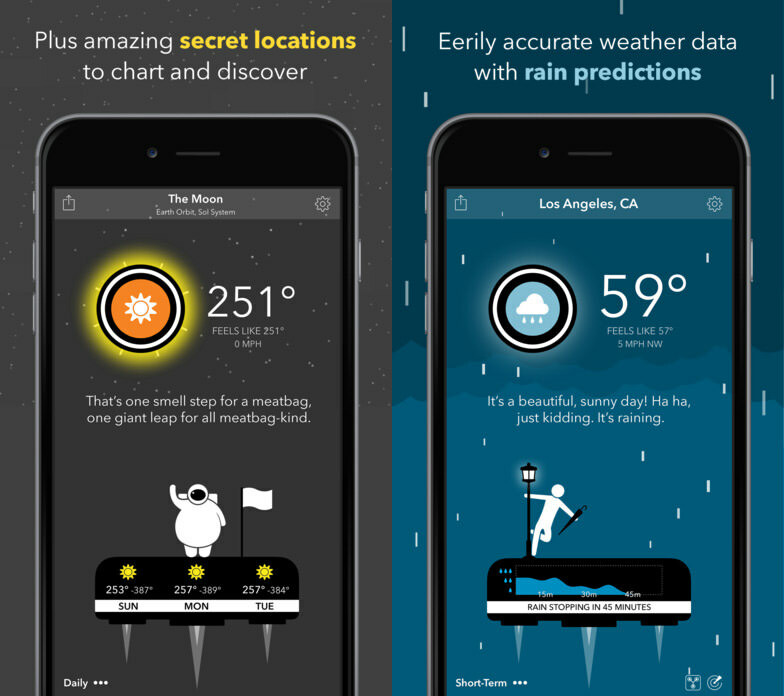 A weather app that delivers accurate and detailed forecast from Forecast.io, but what it is popular for is its sassy personality. Fans of the app enjoy the hilarious dialogue, animated scenes and plenty of different themes. The weather might not be an exciting subject but there’s never a dull moment with Carrot Weather. Some decisions are better made with polls, especially when done in a group. Make the voting process easier with this app. 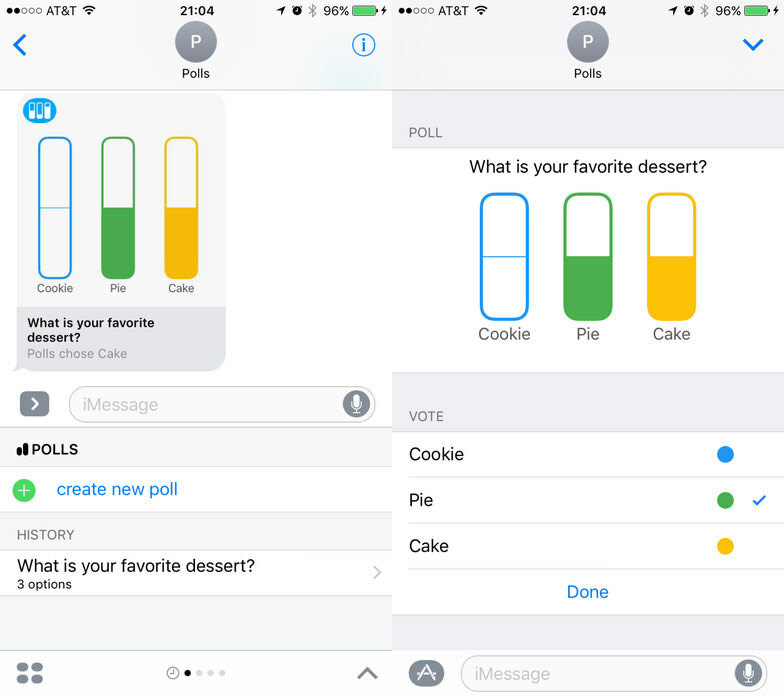 Create polls easily then share them with friends via Messages to get their take on things. 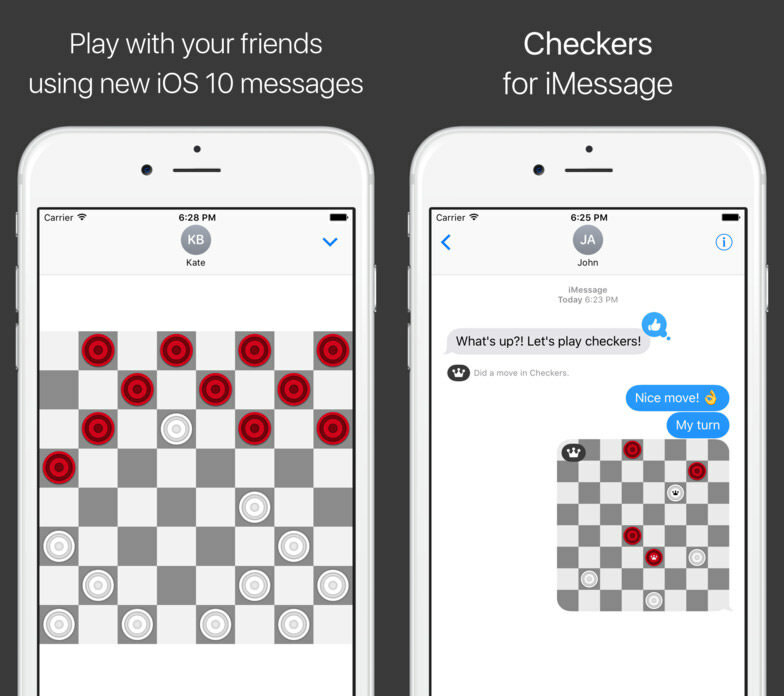 Play checkers with a mate on an 8 by 8 board with this app. 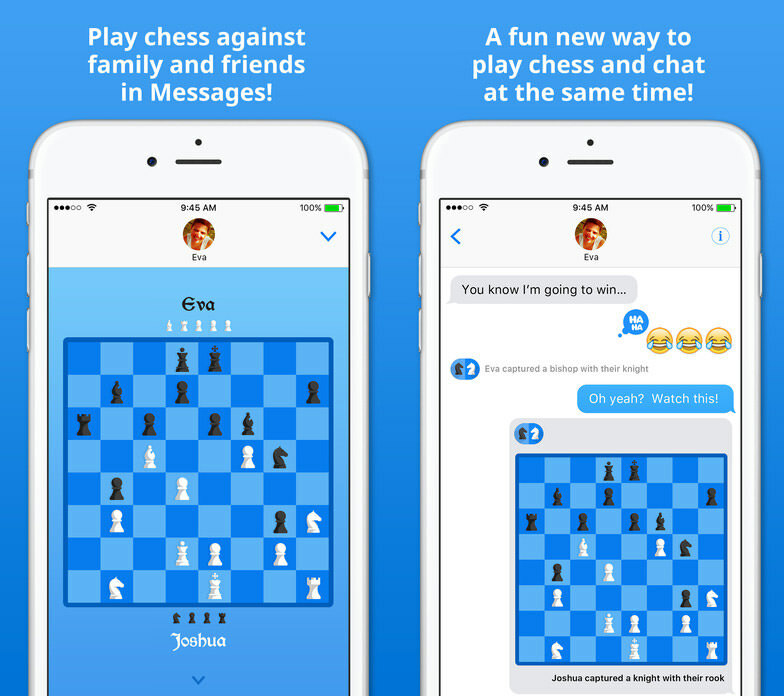 You can play chess in Facebook Messenger, or with this CheckMate! 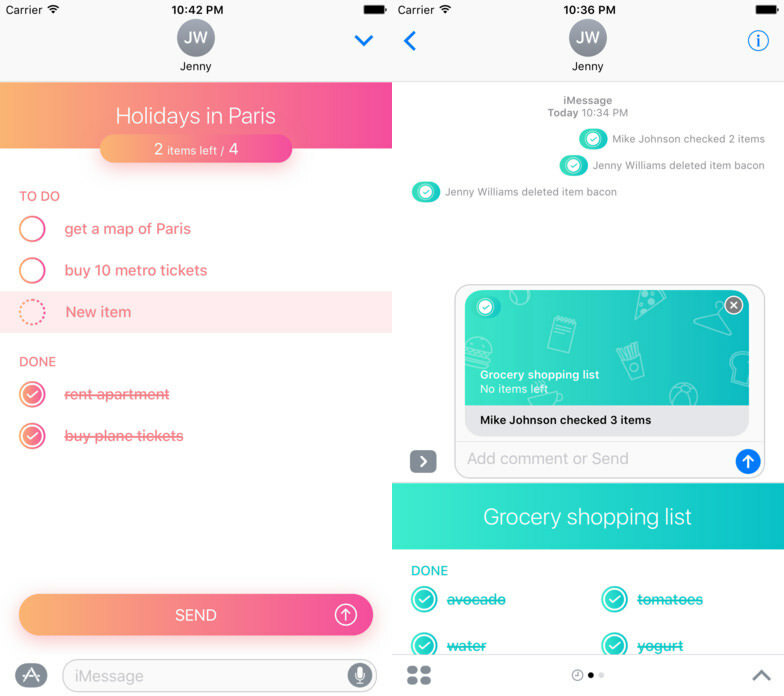 app on Messages. You can play a few games in one go. 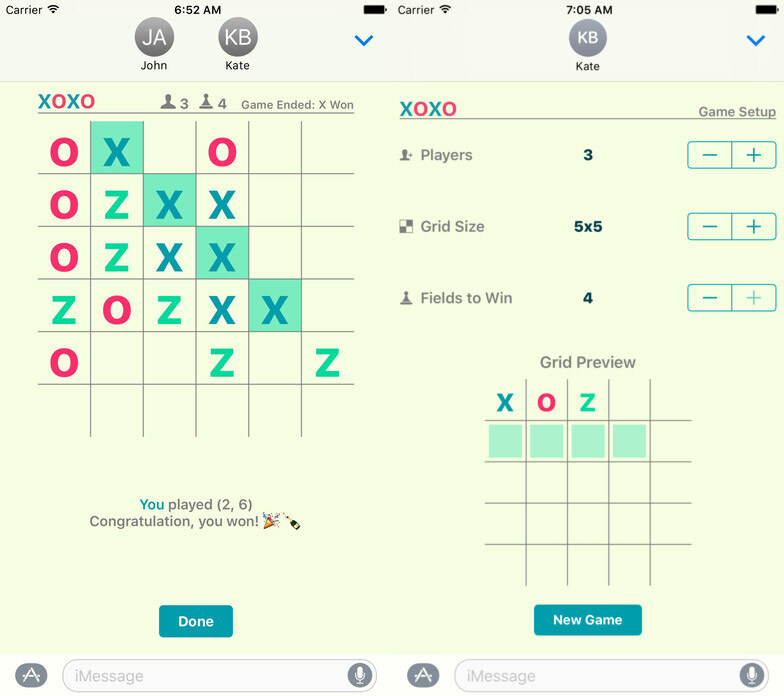 Play the classic game tictactoe with up to 5 players and on a grid that can be as small as 3×3 or as big as 6×6. An iCloud account is required to play. If tictactoe is too mundane for you, try Word Guess instead. Choose a word between 4 and 11 letters long for your opponent and start them guessing. 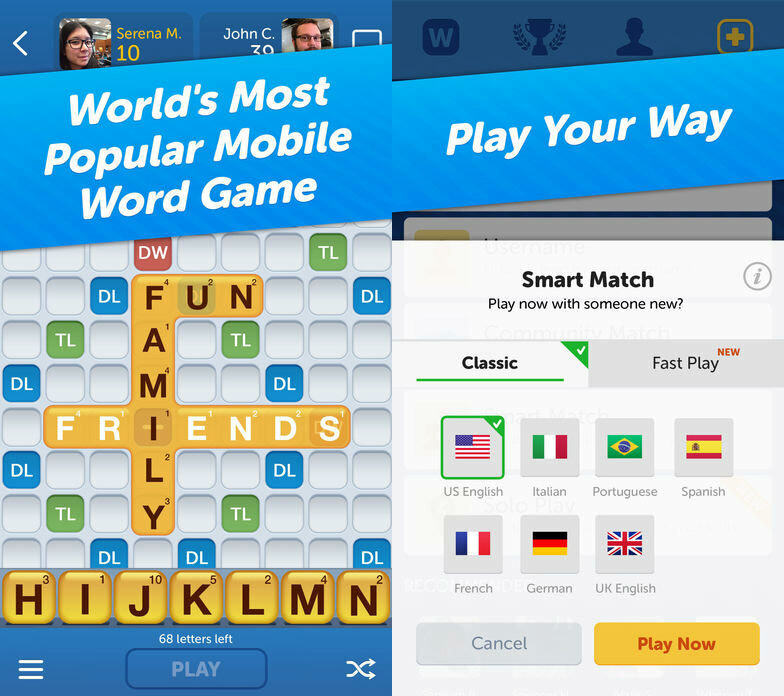 Play this popular word game by Zynga for free in iMessage. Play other players or take the weekly challenge. Available in 6 languages. Another classic game, only this time, adorable yellow smileys are playing on your behalf. 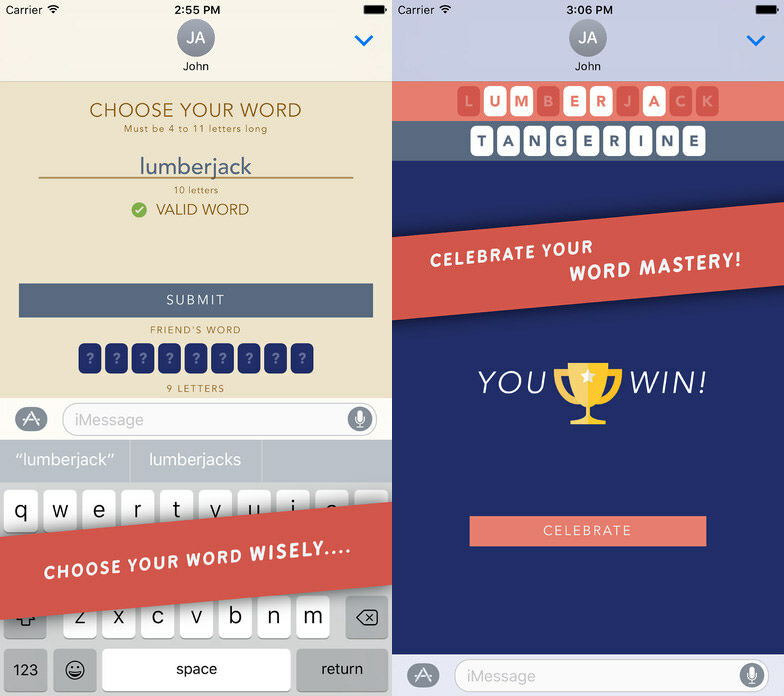 This free app is home to a few games, including Poker, Sea Battle and Anagrams.